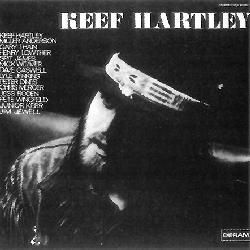 Awesome guitarist; I fell in love with Spit James´ playing in Keef Hartley Band's first album, but at the same time, it was a difficult task trying to know more about him, as he seemed to have disappeared from music scene after leaving that band. But I was wrong, fortunately. Let's see what's the story. I don't have any biographical data about him, and I don't know of any bands where he played prior to joining Keef. Keef found in Miller a fantastic companion, a superb guitarist and singer, who composed most of the songs. With Miller's voice, they release the fantastic album, Halfbreed, recorded in three days, with a funny introduction where you can hear John Mayall's conversation with Keef, when he tells him he's out of Bluesbreakers band. The track is appropiately named ´Sacked´. Dino (here, credited as Peter Dines) co-writes half of the tracks in the album. Notice has to be made about all the guitar parts in the album were recorded by Spit. Miller just included the vocals, no guitars. But, after a while, Spit James left the band, leaving Miller Anderson as the only guitarist. After that, the name Spit James never appeared in any other album, except for a couple of sessions made while he still was in the band (see below for the credits). What happened? Disillusioned with the rock scene, he turned into jazz guitar, and started using his real name, Ian Cruickshank. IAN CRUICKSHANK´S GYPSY JAZZ #? Apart from playing, Ian is author of several books and instructional music videos. He also was co-producer and music coordinator for the Channel 4 TV documentary film ‘Django Legacy’ and runs a jazz record company, Fret Records. Ian has many forthcoming projects, including a new album and his autobiography. So, why not checking his own website for details? (see the link below). Comments: Recorded with the band Pearl Django. Comments: In Halfbreed, there's a horn section to enrich their sound (mainly Hartley former bandmates in John Mayall band): Henry Lowther (trumpet, violin), Harry Beckett (trumpet), Lyn Dobson (tenor sax, flute), Chris Mercer (tenor sax). CD reissue by Deram contains 1 bonus track. Comments: The battle of North West Six is their second album. It was still recorded with Spit James in the band, with contributions from Mick Taylor (The Rolling Stones) guesting on guitar on one track. Plus Mike Davis (trumpet), Harry Beckett (trumpet, flugelhorn), Lynn Dobson (tenor saxophone, flute), Chris Mercer (tenor saxophone), Barbara Thompson (baritone saxophone, flute) and Ray Warleigh (flute). My opinion: Another superb album. Comments: In 1999 it has been released a new live album by the band. 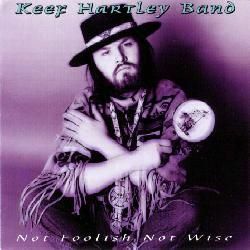 Not foolish, not wise comprises old live recordings, plus some studio tracks, recorded from 1968 to 1972. Sadly, it doesn't include any info about the musicians involved, so we just can´t but guess who appears there. Comments: Great collection of musicians for her debut: from Cream: Eric Clapton and Jack Bruce. From Traffic: Jim Capaldi, Chris Wood. From Keef Hartley Band: Keef Hartley (drums), Spit James (guitar), the late Gary Thain (bass), Mick Weaver (keyboards), Chris Mercer (sax). From Jimi Hendrix band: Mitch Mitchell (drums). From John Mayall: Johnny Almond (sax). From Free: Paul Kossoff (guitar). From Chicken Shack: Stan Webb (guitar), Andy Silvester (bass), Christine McVie (keyboards), Dave Bidwell (drums). Plus: Brian Auger (organ). The cream of British blues-rock. Comments: This albums was later reissued in 1969 with overdubs by Spit James, Steve Gregory, Bud Beadle, Rod M. Lee as Cracked spanner head. 01. Has Ian played with Stephane Grappelli? Disclaimer: I don´t own or upload any of the videos linked here. I just include links to live videos that are already available, in order to show the work of this musician. Anyway, if someone feels that some link shouldn't be included, please write me at the email address shown below. And if you know of more videos featuring Ian Cruickshank, please, also write me with the link. Featuring: Miller Anderson, Ian Cruickshank, Dino Dines, Keef Hartley, Gary Thain. Not sure about Dino Dines and Spit James. unknown to me. Featuring: Andy Crowdy, Ian Cruickshank, Gary Potter. Featuring: Ian Cruickshank, Jeff Green, Paul Meader. Ian Cruickshank: for answering me, confirming he and Spit James were the same person (2001). Tim Pratt: for his great presents (2001). Rob Wilson: for asking about Spit in my old guestbook. Now you have the answer. :) (2000). Karl Stone: for asking about Spit in my old guestbook. Now you have the answer. :) (2000). Alex Gitlin: my friend, for scans and albums (2001). Stef Bilbo: for asking about Spit James (2001). Dan Forte: for asking about Spit James (2002). Keith Graham: big fan of Spit James, for asking about him (2005). Roger Batchelor: for his comments on Spit James (2006). Jim Allan: for asking about Spit James (2002). 30/November/2010 - Page added to the blog. 04/April/2001 - Original page written by me (in the old site). Fantastic keyboardist, he was the original keyboardist in one of my favourite bands ever, Keef Hartley Band. 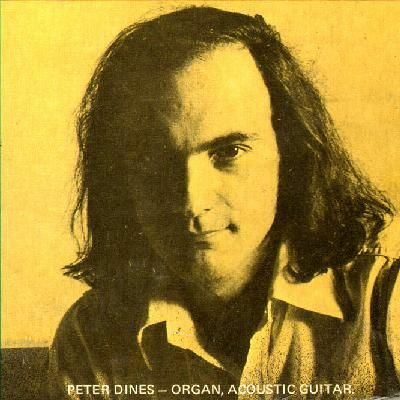 His real name was Peter Dines, but he also appeared credited with his nickname Dino Dines. He was born in Hertford, on December 17th, 1944. First band I know with Dino is Apostolic Intervention. Steve Marriott (who was to form Humble Pie with Jerry Shirley sometime later) gave the band a new song, ´(Tell Me) Have You Ever Seen Me´, that became the band´s first single. Marriott also acted as producer and played bass in the song as well as performing backing vocals. I don´t know what Dino did meanwhile, but he finally rejoined Keef Hartley Band. But the new members don't stay long time in the band, and they leave the band in December 1970, after recording some superb sessions for BBC Radio 1. 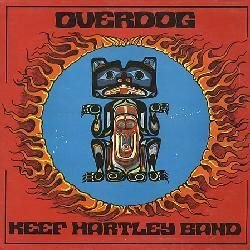 The band released Overdog, still with help from Dino Dines on keyboards and Colosseum drummer Jon Hiseman. They performed 4 songs for those sessions: ´To whom it may concern´, ´Shadows ´cross my wall´, ´On the ship to nowhere´ and ´High tide, high water´. 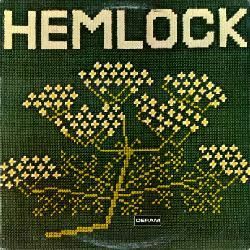 They released a self-titled album, Hemlock, with help from Pete Willsher on steel guitar and Miller´s mate Chris Mercer on sax. They toured supporting Procol Harum in England in March 1973, followed by another tour supporting Savoy Brown and Uriah Heep. The band in the tour was advertised as Miller Anderson With Hemlock. In the tour, the chemistry between Kim Simmonds (leader in Savoy Brown) and Miller finished with the offer of forming a band together (a variation of Savoy Brown called The Boogie Brothers), and Miller took Hemlock´s rhythm section with him, so Hemlock´s life was quite short. Dino was to join David Bowie live band, but finally, he joined instead glam band T.Rex, commanded by the great, much-missed Marc Bolan. + 2 backing vocalists. Who were they? They recorded the album Bolan´s zip gun. After an American tour, Jack Green and long-time member Micky Finn left in December 1974. Their new album was Futuristic dragon. But Tyrone Scott didn't last too long in the band. Gloria Jones left the band in August 1976 to become a mother. 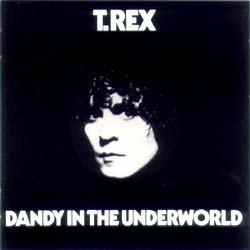 They only released an album, Dandy in the underworld. With lots of guests and former members: Gloria Jones (backing vocals), Scott Edwards (bass), Steve Currie (bass), Paul Humphrey (drums), Paul Fenton (drums), Davy Lutton (drums), and from Gonzalez: Chris Mercer (sax), Steve Gregory (flute), Bud Beadle (flute, sax), Colin Jacas (backing vocals). Miller left the band to join Donovan for a tour. But soon after, Marc Bolan´s tragic death happened in a car accident, on September 16th, 1977. Since that, dozens of post-humous albums have been released: some are live, some contain unreleased tracks, outtakes, etc. The original albums have also been reissued with lots of bonus tracks. And then, I haven't known of any musical ventures by him for many years. He probably kept on playing sessions, but I don't have more info. Can anybody help, please? They played a British tour. During the last years, Dino Dines was usually making guest appearances with another T. Rex tribute band, called T Rextasy, led by singer Danielz. I think there are some live recordings by the band, joined by him and mate Miller Anderson. Can anyone confirm me that, please? And next thing I knew was very sad news. On January 29th, 2004, Peter Dines died. Rest in peace. Comments: Miller Anderson recorded his first solo album, Bright city, in 1971, soon after he left Keef Hartley Band. That's why we can find here many of his bandmates here: the late, much-missed Gary Thain, Mick Weaver and Peter Dino Dines. My opinion: It's a fantastic and very fine album. Some of my favourite tracks are ´High tide, high water´ and ´Alice mercy´ to name a few, although all the tracks are really superb. Comments: Recorded during October 1970 to January 1971. The tracks from 1970 contain ex-members Dave Caswell, Lyle Jenkins and Dino Dines, who left the band in December, but the new band is Hartley, Anderson, Thain and Weaver. Comments: At the time of recording this album, this was the lineup for T.Rex: Marc Bolan (guitar, vocals) / Miller Anderson (guitar) / Herbie Flowers (bass) / Dino Dines (keyboards) / Tony Newman (drums). 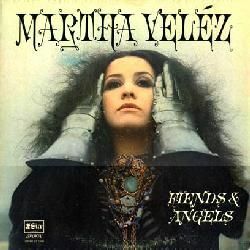 Other guests in the album: Gloria Jones (backing vocals, Marc Bolan's girlfriend), Scott Edwards (bass), Steve Currie (bass), Paul Humphrey (drums), Paul Fenton (drums), Davey Lutton (drums), and from Gonzalez: Chris Mercer (sax), Steve Gregory (flute), Bud Beadle (flute, sax), Colin Jacas (backing vocals). Comments: Unreleased recordings from 1972-1977. Comments: Double live CD. The first CD contains concerts from March 1977, while the 2nd CD is a concert from November 1974, with a different lineup. Comments: In 1999 it has been released a new live album by the band. Not foolish, not wise comprises old live recordings, plus some studio tracks. Sadly, it doesn't include any info about the musicians involved, so we just can´t but guess who appears there. Comments: 7CD boxset comprising their latest studio albums as well as older tracks. 01. Did Dino play with Donovan? 02. He also played with The Hollies and PP Arnold, but I can't find details. Help, please! 03. Which was his relationship with the band Flasher? He appears in one of their albums (see below for the credit). Andrew: for telling me about the very sad news of Peter´s death. Alex Gitlin: my friend and great fan, for all his help and gifts regarding Keef Hartley and Miller Anderson recordings. Justin Purington: for info on the lineup in Miller Anderson BBC recordings (1999). 26/November/2010 - Page added to the blog. 19/July/2003 - Original page written by me (in the old site). Fantastic guitarist, very underrated. Robbie grew up in Wolverley near Kidderminster Worcs UK. Robbie was also a member of a band called Southern Sound, that released a single in 1966. But don´t have any additional info. Then, he joined Butch Clutch & The Excellerators. Again, I don´t know any other info, so some help here would be very appreciated. Their first album, Country home, features Clifford T. Ward guesting on vocals. Their 2nd album was Ace of sunlight, recorded with help from Trevor Lucas (vocals), Mick Ralphs (guitar), Ian Hunter (keyboards). Around 1972, Roden and Blunt left the band. They released a 2nd album, Sixteen and savaged, but the band broke up in 1974. Then, Robbie formed several short-lived bands, but I can't find proper info about them. Help, please! Around that time, Stan Webb changes the band name to Broken Glass, but Daisley and Kroeven soon leave. They released a self-titled album, Broken Glass, with help from Miller Anderson (who also guested on some gigs), and produced by Tony Ashton. 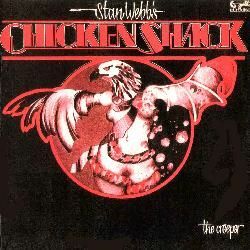 But in 1977, Stan Webb resurrected Chicken Shack (again with Blunt), so Broken Glass split. They recorded an album, The creeper, with help from Tony Ashton. but Knott left the band very soon. This lineup released a very good album in 1978, That's the way we are, before Spevock left them in 1979. In 1979, all the members (except Stan Webb, of course) left the band. He joined a band called Little Acre for some months, but again I don´t have any other info. Help, please! The album was called Street parade. There are two different editions, as the German release hasn't the same tracks as the British release. 3 years later (in 1984) they released a mini-LP, but I don't have it, so I can't know if Robbie is featured there. Does anybody know? The Honeydrippers mini-tour finished in June 1983, and two months later, Robert Plant decides starting his own solo career. Pictures at eleven was recorded with help from Cozy Powell and Phil Collins on drums, as well as Raf Ravenscroft on sax. Next album was The principle of moments, recorded with both Phil Collins and Barriemore Barlow on drums. But Plant sees how all the musicians leave him in October 1985. But Winthrop had to leave after a while, due to health problems. And then, I have a very big gap (12 years!!) regarding Robbie Blunt´s musical activities. Please, can someone provide info regarding this period? I see Robbie´s name mentioned in albums but don´t know of other bands where he´s been a member. He appears from time to time as special guest with Deborah Bonham. Comments: Broken Glass was the band formed by Stan Webb, former bandmate in Savoy Brown: Stan Webb (guitar, vocals), Robbie Blunt (guitar), Rob Rawlinson (bass), Mac Poole (drums). This album was produced by keyboardist Tony Ashton (who also plays in it), and it contains Miller Anderson guesting on guitar and vocals. Recorded in November 1975. Comments: Different CD reissues contain different bonus tracks. Some of these bonus tracks feature Robbie Blunt and Harry Rix. Comments: The lead singer in Led Zeppelin started his solo career under his own name with this album. His band was: Robbie Blunt (guitar), Paul Martinez (bass), Jezz Woodroffe (keyboards, from Black Sabbath). As he hadn't a stable drummer, he used two of them for the album: Cozy Powell and Phil Collins. Also guesting here in 1 song, Raf Ravenscroft (sax). Comments: Second album by Deborah Bonham. Comments: Benefit album featuring Tom Petty & The Heartbreakers (with Robbie Blunt), Bonnie Raitt & Charles Brown, Darlene Love & Phil Spector, Extreme, Wilson Phillips, Run DMC, etc. Comments: Here we can find the original Traffic lineup: Steve Winwood, Dave Mason, Jim Capaldi and Chris Wood, plus members of Family: Ric Grech, Jim King and Poli Palmer. Could this be the origin of Ric's choice for Blind Faith? Who knows. More great guests: Julie Driscoll (vocals), Luther Grosvenor (vocals), Robbie Blunt (sitar), and Remi Kabaka (percussion). Comments: Collection of unreleased tracks. Comments: Compilation with tracks by the band, also some solo recordings by Edie Brickell, as well as 7 unreleased tracks. 01. Robbie recorded some tracks with Nikki Squire (from the band Esquire), but don´t know if they appear in some album. Does anybody know? 02. I still have to add the Robert Plant lineup with Roger Taylor on drums for the TV program Live On The Tube. 03. Robert Plant also had 3 female backing vocalists for some live tour around 1985. Who were they? Does anybody know? Disclaimer: I don´t own or upload any of the videos linked here. I just include links to live videos that are already available, in order to show the work of this musician. Anyway, if someone feels that some link shouldn't be included, please write me at the email address shown below. And if you know of more videos featuring Robbie Blunt, please, also write me with the link. Featuring: Robbie Blunt, Rod Davies, Michael Des Barres, Nigel Harrison, Pete Thompson. Featuring: Robbie Blunt, Phil Collins, Paul Martinez, Robert Plant, Pete Townshend, Jezz Woodroffe. Featuring: Robbie Blunt, Paul Martinez, Robert Plant, Jezz Woodroffe. Rest of the band unknown to me. Featuring: Robbie Blunt, Richie Hayward, Robert Plant, Jezz Woodroffe. Rest of the band unknown to me. Featuring: Robbie Blunt, Robert Plant. Rest of the band unknown to me. Featuring: Robbie Blunt, Deborah Bonham, Mark Butcher. Rest of the band unknown to me. Featuring: Robbie Blunt, Deborah Bonham, Peter Bullick, Gerard Louis, Ian Rowley, Jerry Shirley. Featuring: Robbie Blunt, Deborah Bonham. Rest of the band unknown to me. Steve York: for extensive info on Chicken Shack, as well as for many other things (2003). Mac Poole: for info on Robbie (2003). Rod Davies: for writing me asking (2006). Joseph Marton: for very interesting info on Robbie (2008). Alex Gitlin: my friend, for writing his Pick on Silverhead as well as for many scans and help (2000). Tim Pratt: for his enciclopedic knowledge about Chicken Shack (2000). Steven Graves: for telling me about a possible Robbie Blunt solo album (2004). Steven Ward: for writing me (2001). Mike Davis: for info on Robbie working with Chris Field (2003). Brian: for info on Robbie´s first steps, and the Big Gees band (2006). Bruce R Goyette: for asking (2003). John Vasco: for sharing his memories on Bronco (2005). Colin Knowles: for writing me (2003). 24/November/2010 - Page added to the blog. 31/October/2000 - Original page written by me (in the old site).